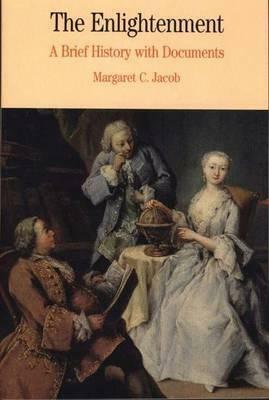 In an unusually diverse collection, Margaret Jacob presents the eighteenth-century movement known as the Enlightenment that forever changed the political, religious, and educational landscape of the day. Selections by some of the period's most important thinkers include pieces by Locke, Rousseau, Mary Wortley Montagu, Denis Diderot, and Moses Mendelssohn. She covers the movement's lengthy evolution in a comprehensive introduction, which establishes the issues central to understanding the documents and provides important background on the political and social debates of the period. Foreword.- Preface.- PART ONE: INTRODUCTION: The Struggle to Create a New Culture.- Political Origins.- Scientific and Religious Origins.- The Public Sphere.- Enlightened Feminism.- Seventeenth Century Formal Philosophy and its Reworking.- A Clandestine Universe.- A Protestant Odyssey.- Travel Literature.- Anglophilia.- Crisis at Mid-Century.- Rousseau.- The International Republican Conversation, 1775-1800.- Slavery.- The Legacy of Enlightenment.- PART TWO: THE DOCUMENTS.- John Locke, Some Thoughts Concerning Education, 1693.- The Treatise on the Three Impostors.- Voltaire, Letters Concerning the English Nations, 1733.- Lady Mary Wortley Montagu, Letters, 1716-1718.- Denis Diderot, Encylopedia, 1751.- Denis Diderot, Supplement to Bougainville's Voyage, 1772.- Jean-Jacques Rousseau, The Social Contract, 1762.- Immanuel Kant, What is Enlightenment?, 1784.- Moses Mendelssohn, Jerusalem: Or on Religious Power and Judaism, 1783.- Chronology.- Selected Bibliography.- Index.